A Chinese-owned firm with operations in Washington D.C. hacked Hillary Clinton's private server "throughout her term as secretary of state and obtained nearly all her emails," reports the Daily Caller's Richard Pollock. Two ICIG officials, investigator Frank Ruckner and attorney Janette McMillan, repeatedly warned FBI officials of the Chinese intrusion during several meetings, according to the Daily Caller, citing a "former intelligence officer with expertise in cybersecurity issues who was briefed on the matter." Among the FBI officials warned was Peter Strzok - who was fired earlier this month from the agency over anti-Trump text messages he sent while spearheading an investigation of Trump's 2016 campaign. 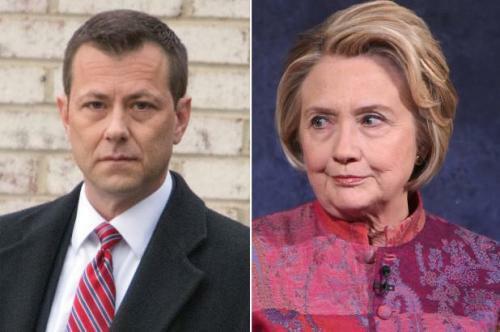 Strzok did not act on the ICIG's warning according to Gohmert - who added that Strzok and three other top FBI officials knew about an "anomaly" on Clinton's server. Meanwhile, four separate attempts were also made to notify DOJ Inspector General Michael Horowitz to brief him on the massive security breach, however Horowitz "never returned the call."